We P.G. 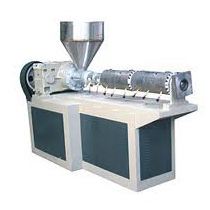 Drive are Manufacturers, Exporters & Leading Suppliers of Single Screw Extruder Gearboxes Located in Mumbai, India. 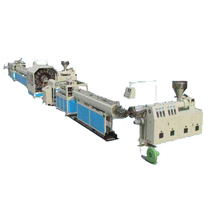 The “E-MAX” series single screw extruder gearboxes offered by P.G.Drive have made a prestigious name for itself in the field of plastic extruder industry. 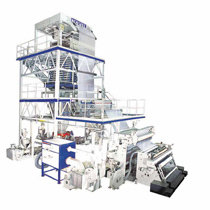 The robust and universal mounting design offers the customer with the best available product in the market today. 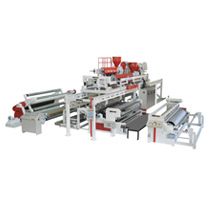 The outstanding product quality and P.G.Drive’s technical know-how in the field of developing gear boxes for the plastic industry makes us the preferred partner for extruder machinery builders. 1. Improved power efficiency due to helical tooth gearing and reduced power tariff & operational cost adds directly to the profit for any business. 2. Gear box structure: Universal mounting design for optimum space saving and multiple design configuration. Besides the excellent heat dissipation performance, the output direction at the vertical & horizontal side can be selected by the customer's request. This unique appearance design is the leader impression in world. 3. Graded cast iron housing. 4. Inbuilt thrust HSG for better reliability, durability & space saving. 5. Advanced 3D-CAD & Gear design tools for calculating optimum gear geometry to achieve optimum performance, durability and qcdf targets. 6. Our special gear tooth geometries allow the best built up of a lubrication film. Gears designed with optimized safety factors as well as field-experienced application factors for external influence variables guarantee the maximum longevity. 8. Profile ground gears meeting international din quality standard to ensure low noise performance. 9. Top-quality bearing from reputed manufacturers like SKF and or ZKL bearings selected on input/output shafts ensures the best quality and long run durability. 10. Silicon oil seal on hot side to sustain toughest temperature condition. 11. Epoxy coated inner hsg wall for oil resistance & improved cleanliness. 12. Special breather design ventilates the internal oil pressure to smooth the oil circulation & ensures dust free operation and longer lubricant life & easy service. 13. Magnetic drain plug for high performance cleaning and longer service life. 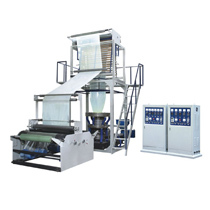 Use to filter the impurities generated from the gear oil and enhance the lubrication functionality. 14. Special high performance internal cooling coil to meet excellent heat dissipation rates and simple maintenance. 15. Ground surface joint on split housing to ensure easy field service - gasket free joint for tension free service. 16. 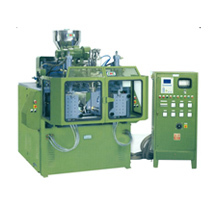 Forced lubrication (optional) for long service and durability requirement. 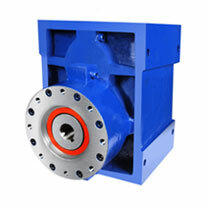 Mechanical pump: driven by the gear shaft for oil circulation and flow rate adjustment. 17. Customized configuration for screw shank and barrel configuration to meet existing replacement needs. 18. 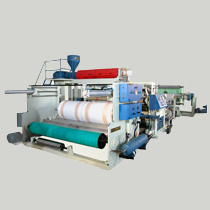 3 Decades of field experience in plastic and rubber extrusion industry. 19. 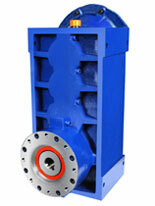 More than 3000 + gearboxes in operation in the industry. 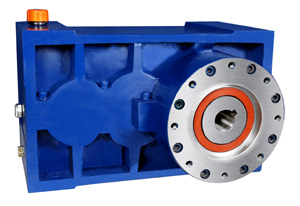 The single stage gearbox is offered in ratios from 4 to 6.3 with the torque range from T2 = 1400 Nm to 5200 Nm calculated at the standard ratio of 5:1. The two stage gearbox is offered in ratios from 10 to 18 with the torque range from T2 = 585 Nm to 18,000 Nm calculated at the standard ratio of 14 or 16:1. Other ratios are offered per the customer request.